~~It’s a tough go for Buyers right now in Seattle. The inventory is very low, and when they like a house so do 12 other Buyers. This market requires Buyers to pay for pre-inspections so they can waive it for the offer. One of my Buyers paid for 4 inspections before they finally got mutual acceptance on a home. I have heard of people doing many more than that even. People are waiving all kinds of contingencies that protect them like financing, appraisal, and title, and it’s insane when this is probably their largest investment. Now a couple of my clients have informed me that they are tired and need to regain their strength before they attempt to tackle the market in the late Summer or early Fall. I don’t blame them, but I wonder if it will be any better at that time since everyone seems to want to take a break right now and start again when the market cools after Summer. I also worry about interest rates that have been creeping into the low 4%’s within the last few weeks. That can make a difference for some as to whether they can afford a monthly payment. AAAARGGHHH! It’s all so frustrating. So let’s look on the bright side of life in Seattle. Literally, as I write this, it is so darn bright outside at 86 degrees in June. LOVE IT! Everyone is out enjoying the day in their slightly wrinkled summer clothes they just pulled out from the box under the bed. No place is more beautiful on a sunny day than Seattle. We can enjoy the large bodies of water all over the place or hike in the gorgeous mountains that have miles of trails to enjoy. I have an outdoor porch upstairs on my house and it is like sitting in a treehouse. In the Spring the flowers are in full bloom exploding with color. This morning, while many of the flowers have moved on, the yard is full of green, green, green. And the colors in the Fall? My favorite time around here because orange is my favorite color of all. Winter is a bit gray and naked in Seattle, but that just reminds us to bundle up on the porch with hot coffee. So, I understand why people want to buy a house here. It is a great place to live, work, raise kids, be active, and relax all year round. 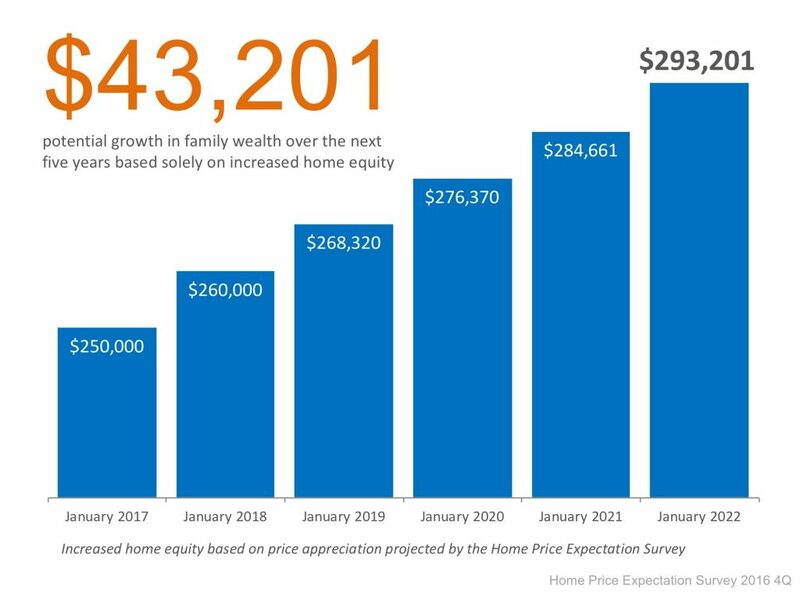 Hang in there, Buyers, the right house will come along soon and you will be glad you decided to be a homeowner in Seattle. P.S. Seattle Sellers, call me, I have 10 Buyers for your house! Thank you for choosing me to help you find a home, but I would like to apologize for a few things in advance. 1. I am sorry that you have to pay so much this year for a house that was 24% cheaper three years ago. 2. I am sorry that we don’t have many great homes to choose from. Actually, let me edit that to I am sorry we don’t have many homes to choose from, great or crummy. 3. I am sorry that international buyers are coming in with their cash causing you to lose the last three homes you have offered on. And they’re not even going to live in the house, it’s just an investment property to them. 4. I am sorry it has been 6 months since we started looking instead of the 2 months you were hoping for. 5. I am sorry that you have to decide to waive protective contingencies in order to be a contender in the multiple-offer scenarios that we always are in. 6. I am sorry that only one person has called me for the letter I sent out to the 100 houses in your favorite neighborhood, but at least we got that one call and there is a possibility it could work out. 1. Because it has taken so long to look for a house, I have been lucky to get to know you and your family so well. A friend once told me that strangers are just friends I haven’t met yet. I have become good friends with most of my clients and I am grateful for every one of them. 2. Thank you for having trust in me when I am giving you advice. 3. Thank you for the laughs. 4. Thank you for the referrals. 5. Thank you for being loyal. I look forward to many years of working with you and being a part of your lives. Open houses are a staple in the real estate business. It allows people to preview a home without a real estate broker to let them inside. For real estate professionals, it creates an opportunity to sell their listing, meet neighbors for future listings, or meet Buyers who don’t have an agent yet. I’m the type of person who doesn’t like to get bombarded by sales people at the retail store, but I also expect to be noticed so being greeted when I come in is appreciated. That is what I do when I host an open house. I welcome the people into the home and then allow them to browse at their leisure. I always offer to answer any questions they may have as they are going through the house, and asking questions is a good idea. The broker knows a lot of details that aren’t listed on the flyer like when the roof was done, if the water heater or furnace has been replaced recently. Also, asking questions about the neighborhood is smart. Maybe the broker happens to know the next door neighbor or knows the best route for a run. Are there a lot of children on the street? Do they have neighborhood activities? When going through the house, go ahead and open all of the doors. See inside that tiny door under the stairs or look at how much space is in the pantry. You may find some cool features you didn’t know about unless you had been curious. My kids are experts at finding the “secret doors” of a house and whenever there is one, that’s the house they want. Sorry kids, we’re staying put. Do you like facts and figures? Some brokers will have statistics about the neighborhood real estate market at the open house: how fast homes are selling, what price range sells the best, what month was the best in sales, etc. A good broker will make the open house worth your while with a plethora of information. And some even have treats! So, relax, be curious, ask questions… and eat. ~~My own personal style when it comes to clothes, music, cars, and home décor leans toward simple lines and classic styles. The Audrey Hepburn sheath dress, songs from the 70’s/80’s, the Ford Mustang, a retro-style home are all things that I enjoy. So, when I walk into a home that is decorated as if on the set of My Big Fat Greek Wedding, I am fascinated. It is a style I do not understand and I think it is because, as I said, I like things simple and ornate, large décor is never simple. When a home’s décor conflicts with the style of the client it can be a deal-killer and I need to help them see beyond the Corinthian pillars in the kitchen (or help them to see the pillars as the case may be). First off, paint. Paint is cheap and can transform a room instantly. Secondly, furniture obviously changes the look of a room and the client will be bringing their own furniture. Also, changing out fixtures is easy to do and the chandelier or wall sconces you removed can be sold on Craigslist pretty easily. Someone else out there has that same style, if you can imagine. My clients would like their son to see the condo when he returns from out of town on Monday. I am already armed with suggestions to help him see past the King Henry the VIII bedroom set since I know he is a young, hip guy-about-town. So, when looking at a home, attempt to see past what is in front of you if it is undesirable. Can you see a different paint color? Can you see how your furniture would be set up? Can you see your mementos displayed throughout the home? Maybe not at first, but I will definitely help you try. And when you are ready to make your move I will help you carry the paint over to your new home in my convertible Mustang with Journey blaring out of the speakers, my classic pony tail whipping in the wind.